A mix of relief and joy overcame me as I watched my peanut/treenut allergic son glow — his startling blues eyes dancing and his goofy, missing-5-front-teeth grin widening into triumph — after he wrapped a piece of roti around a scoop of mud-colored Dahl and shoved it into his mouth. Our new cook in Varanasi had just shown “K” how to enjoy his first Indian meal, something that had been off limits to him at home. Perhaps we came here for this moment (and others like it), I say to myself now. But one month into our 4-month stay in India, I still struggled with the question of whether I made the right choice to bring him here. “K”’s moment of tribulation over a food that normally could endanger his life seemed a lot like reaching a cold, clear swimming hole only after climbing a parched mountain in torturous heat for days. Yet after your dip and sip from the waterfall, you have to keep climbing as the sun promises to beat down even hotter. And somewhere in your mind a question nags: Was that water really safe to drink? In the months and weeks leading to our trip, fear overcame my every thought. When people asked if I was excited, I could not even fake it. The adrenaline coursing through my veins stiffened my body and put my brain on overdrive. The trip magnified my worst nightmares about his allergies. I lay awake late into the night worrying how I would protect him and snapped up before the alarm with new scenarios of doom playing out in my head. I had settled my nerves after reassurances from the Indian mothers to whom I spoke. I felt confident that I could easily keep “K” away from the obvious risks (baked goods, candies and restaurants). But one morning just a few days before our departure, I woke up in a panic about peanut or treenut cross contamination that may lurk in unexpected places like, say, rice or flour. I immediately added a sack of safe wheat flour to one of our suitcases but knew that “K” eventually would have to sample some things that could be unsafe. 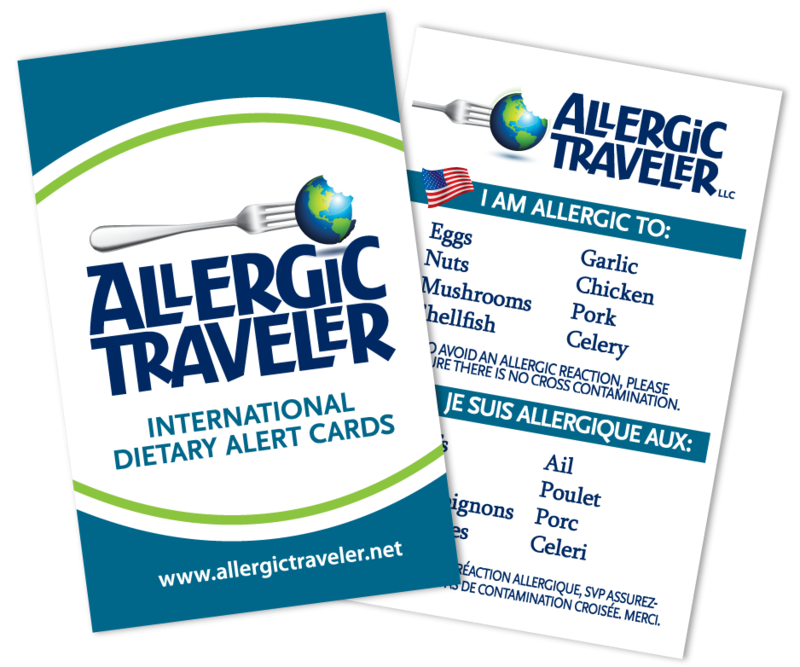 There are no food-labeling laws for allergens in India. I boarded the plane with an overbearing sense of doom. From the moment we rode away from the airport in Varanasi, my level of fear felt like an absurd way to cope or connect with this culture. Inside our car, K and his 3-year-old brother sat strapped in the child restraints I had spent hours searching for online: a blow up booster for “K” and a vest for his younger brother. My eyes looked beyond the chaos of overloaded rickshaws, bikers pulling trailers of goods, Tata trucks, pedestrians, cows, stray dogs and other cars to focus on the sleeping babies whose limp heads dangled precariously over the road; their mothers held them like footballs while sitting side saddle on weaving, bobbing motorcycles and bicycles. Much like the child restraints, all my preparations to handle “K”’s food allergies would become ridiculous in this place. For our first week in India, we were stuck in guesthouses with no way for me to prepare hot meals for “K”’s. Armed with two loaves of safe bread and honey from home, I planned to make him Sunbutter and honey sandwiches. “K” had agreed that we would bring honey instead of jelly (his preference) since the jelly only came in glass jars, which could break in my bag. But once in India “K” decided honey was “icky” and not a suitable replacement for jelly, that the Mac and Cheese I brought (and prepared with a hotpot) was too runny and that the mangoes we bought on the roadside in town were not sweet (they weren’t). Each time I failed to satisfy his hunger and food allergy-related stress, he whined: “Mommy, what can I eat?” Then louder, “Mommy, what can I eat?” and louder still, “Mommy, Mommy, do you hear me? What can I eat? I am hungry.” My fear mixed with anger and stress as I struggled to respond to his whines, tantrums and refusal to eat what I had painstakingly packed and repacked to fit into our suitcases. I waxed and waned between pity and annoyance at my son as I waxed and waned between terror and self-doubt over my own approach to managing his allergies. Was I being overly protective? Or was I not doing enough to protect him? Should I console him or scold him? The cook at one guesthouse said he used no nuts so maybe I could at least let “K” have the Dahl and roti. Or did our student guide not translate our concerns correctly? This same student guide later asked us what would happen if “K” ate nuts. When I said he could die, his face grew ashen and he said not to trust anybody in India because they may tell us anything to make money. If I had felt any sense of control over “K”’s food allergies at that point, his words jarred that control from my grasp. I wanted to pack my bags and head back home. Since that first week in Varanasi, I have come to realize all too well that the dangers here extend beyond anaphylaxis or hunger. Rickshaw rides take us head-on into blasting horns of cars coming our way. My sons have suffered stomachaches and diarrhea that lingered way too long. Worst of all, K had a high fever that sent me panicking with him to a horrific hospital in the middle of the night. A place where the sick writhed on floors and dirty sheets covered examination tables. Ironically, now that I face these dangers everyday my panic has subsided. In fact, I have not felt this calm since learning of “K”’s allergies six years ago when he was 9 months old. I don’t know if I would have brought my sons here if I clearly understood the risks. Yet, oddly I can’t help but feel some relief. My ability to tune out the hazards has surprised me. With the exception of one particularly horrifying rickshaw ride, I don’t watch the traffic ahead as my sons, husband and I bounce along the beeping, potholed roads. In the hospital that night with “K,” I stopped looking after casting my eyes on the face of one pained patient in the ER hallway. I grabbed “K” tighter and readjusted my new tunnel vision. I have come to accept that the child restraints I brought are basically useless here. Either the seatbelts don’t work in the cars or somebody joins us in the back, leaving no room to strap in the boys. Mosquitoes that may carry malaria or dengue find their way into our kitchen, bathroom and even under our bed net. My kids get filthy and put their fingers into their mouths despite my constant nagging. Has this lack of information somehow allowed me to relax? Has the culture around me ridiculed the paranoia out of me? Or is this ignorance in the face of danger just my way to cope? Is it a survival mechanism? When I pick up a bag of lentils or a jar of jelly at a store, I search mechanically for the missing allergen warnings but have to buy them anyway. No other choices exist. When my son eats something new, I cannot panic anymore. I may ask him to take a small bite and wait. But my stomach does not turn into a knot when he tries unknown foods. I have stopped jumping at each and every itch, throat clear, sniffle or sneeze that shows up at mealtimes. While I continue to worry about the months that lie ahead, I feel that maybe I can start living as if my son’s food allergies aren’t anymore dangerous than riding through Varanasi on a rickshaw; sometimes I choose to stay cooped up in our sweltering, 3rd-story flat just because I don’t want to take the risk. But these rides have become my sons’ favorite activity here and we simply have to get out sometimes. Besides, he has survived.